Superdry men’s Core Sign Off t-shirt. With moisture wicking technology and SuperQuick Dry fabric, this t-shirt is perfect for working out. 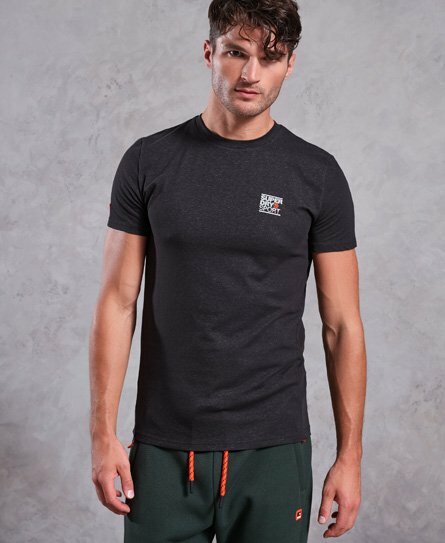 This lightweight short sleeve t-shirt features a crew neckline, a Superdry Sport logo on the chest and is finished with a Superdry Sport logo badge on the sleeve.